Have you heard the COEX shopping mall? It a big shopping mall which located in jamsil station.Moreover,it has a big aquarium inside this mall.On the weekend,you can probably see many people visit here with their family.The reason why people enjoy coming here is due to location,various sea creatures and great organization of this aquarium. In COEX Aquarium,here has 14 different kind of exhibition you can go inside and look around.Here are RAINBOW LOUNGE,STROY OF KOREAN FISH,GARDEN OF KOREA,FISH IN WONDERLAND,AMAZONIA WORLD,MARINE TOUCH LAB,MANGROVE AND BEACH,LIVING REEF GALLEY,OCEAN KINGDOM,MARINE MAMMAL VILLAGE,DEEP BLUE AQUARE,UNDERSEA TUNNEL,GARDEN OF JELLYFISH,PENGUIN’S PLAYGROUND.It takes approximately one and half hours to tour this aquarium. 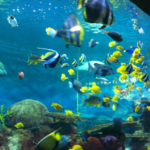 Moreover,COEX Aquarium is spread out over a large area and showcases no less than 40,000 sea creatures, which come from 600 different species. 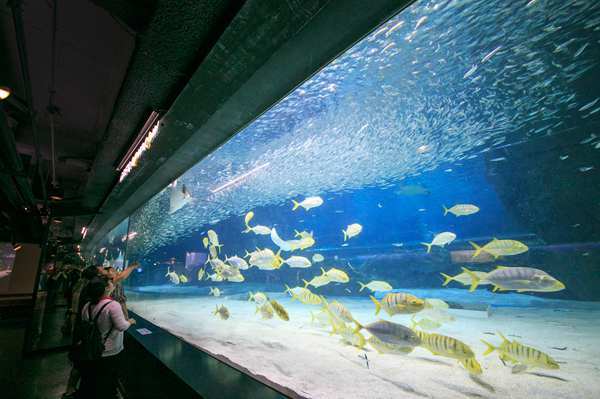 The aquarium is unique in Korea because it has been designed around the theme of “Water Journey”. On entering the museum, visitors will embark on an adventure that follows water on its journey from the high Andean mountains, through the Amazon tropical rainforest to swamps, rivers, seashores, and finally to the depths of the ocean. Visitors will get an in-depth look into some of the world’s fascinating underwater creatures. Also,you can enjoy the interesting program inside the aquarium.Such as feeding the penguins, feeding the Otters, feeding Sharks. 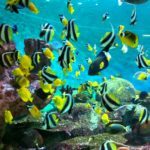 In the aquarium,The Ocean Kingdom, Doctor Fish Exhibition, Kid’s Aquarium, Fish in Wonderland, The Penguins’ imaginary, playground Seal Tanks are the most popular exhibition for visitors. 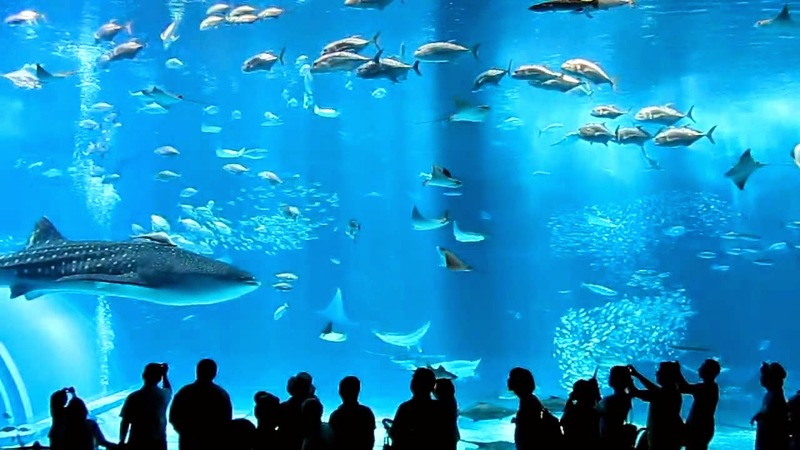 The Ocean Kingdom contains a huge tank filled with 2,000 tons of seawater, in which a large number of sharks, stingrays, turtles, and a shoal of silver-colored fish live in almost exactly the same conditions as the ocean. Learn about the Doctor Fish experience by putting your fingers in the water and having the fish nibble on them. It’s a tingly, unique feeling and it gets rid of your dead skin. 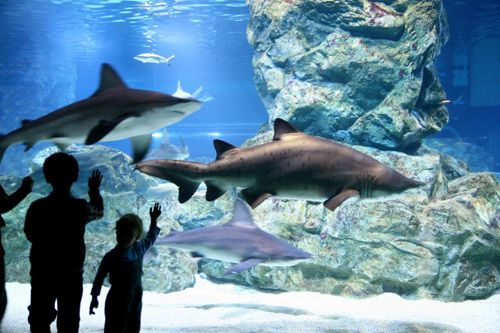 Here, children can come face to face with their favorite sea creatures. They can see and even touch frogs, yellow tailed anemone fish, blowfish, and gecko lizards, and have fun learning about life under the sea. 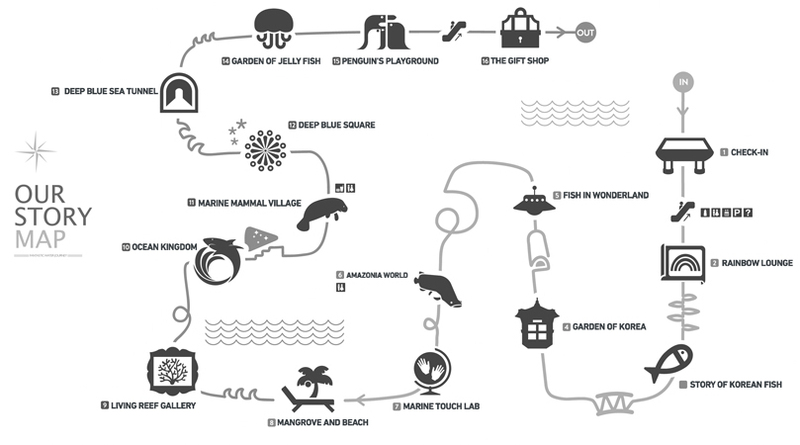 This amusing exhibition takes fish out of the sea and straight into visitors’ daily lives. Here visitors can see fish living in a traffic light, postbox, refrigerator, computer, washing machine, television set, sink, toilet bowl, bed, and telephone booth. In the COEX Aquarium, visitors can meet the Humboldt penguins that normally are only found in Peru and Chile in South America. Here, visitors can see two seals named Daeyangi and Haeyangi. A special naming event was held to choose the names for these sibling seals. COEX Aquarium is one of the best aquariums in Seoul.From the outside it looks like it is going to be a small aquarium, but inside it is very well done. A lot of time has been taken to decorate this aquarium. Spent a lot of time walking around. Would be great with little kids.It is great for big kids too. ※ For second child and more under the age of 4, ticket purchase will be required. ※ Proof of identification required for all visitors. – Coming from the subway, use exit five or six connected to the Coex Mall. Follow the Coex sign and you will come out at Millennium Plaza with the Coex Mall entrance in the back of the plaza. – Take exit two and walk straight for about 15 minutes. You will pass Bongeun Temple on your right and soon after that you will see the Coex Complex on the right side.You can enter through North Gate.